After hearing so many good things about Christian’s Totem – I was sure that I would be disappointed once actually trying this place out. There was no way that it could live up to the high expectations that were set. Well… I am happy to report that I was so very wrong. Christian’s delivered in a big way as their burger is excellent!! Myself and 2 of my buddies made the trip to Christian’s Totem and we were very pleased with the experience! IMPORTANT: If you haven't already, please read the TexasBurgerGuy terminology post. That will help you understand this review. The burger was by no means a niagra falls level oooze burger. It was pretty light on the oooze although it did make a nice little oil slick on the paper it was wrapped in. (see picture) Despite there not being a lot of “drippage” – the patty is extremely moist and very tender. I was pleasantly surprised on my first bite as I was expecting a very dry patty – but that clearly was not the case. A little light on oooze, but it still had the benefits of a high oooze burger. This is one of the categories that the Christian’s Totem Cheeseburger will excel. I hate to even put this into print – BUT – the Texas Burger Guy ALMOST couldn’t finish the burger. That is what you want if you want a good rating from me. The patty was huge. It was thick and meaty – just the way I like it. 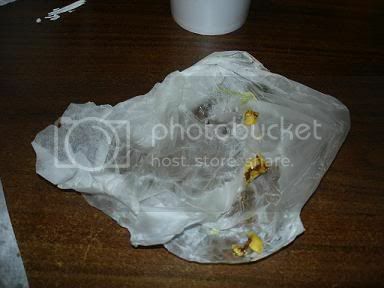 The burger had good weight too – not your lightweight cardboard burger you get at fast food places. There was a double meat burger that was offered on the menu. 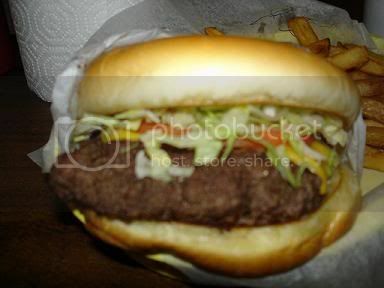 I can’t even imagine what kind of appetite it would take to consume that thing… The single meat burger meant business. You can be sure that this burger definitely killed off its share of the herd. Yet another category where the Christian’s Totem Cheeseburger will excel. This burger is not a one hander – not even close. You have to put down this thing to take a drink and eat your fries. Even at the end when it is a smaller version of its orginal self – you still need a little support to keep the burger all together. Excellent 2 handed burger!!! Excellent value! I got the cheeseburger in a basket that included fries and a free refill drink. The whole thing was 7 bucks. That is a very reasonable considering the amount of food you receive. For 7 bucks – I left Christian’s Totem very full and not even thinking of eating another meal for several hours. 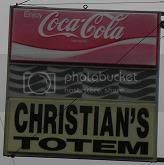 Christian’s Totem had your standard mom and pop menu. They had burgers (duh), fries/onion rings, and fried chicken. 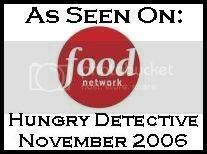 One thing that peaked my curioisity was a Chiliburger that was on the menu. I could hear several of the customers in front of me ordering the Chiliburger so one has to assume that it is pretty good for so many people to order it. And as one of my friends that went to Christian’s with me said, “How can you go wrong with putting more meat on top of meat?” I couldn’t agree more. Besides the burger – we tried the french fries and the onion rings. Both were SPECTACULAR! The fries are seasoned and are just awesome. The onion rings are a MUST! I had my buddy order the onion rings to try them out – next time I am ordering them. I don’t have a menu to show you for Christian’s – I asked – but the lady behind the counter said they did not have one. Guess you’ll just have to go to find out yourself. From the outside, Christian’s simply screams “I’M A HOLE IN THE WALL BURGER JOINT!!!!”. It is a tin building that would be an eyesore to the anti-burger enthusiast. For us though – the place looked like a factory for increbibly good burgers. Parking lot was nearly full when we arrived around lunch. The restaurant has what I am guessing is the original building and an addition that includes pool tables and TVs. The addition is called Christian’s Tailgate – the original restaurant is Christian’s Totem. They accept credit cards. Smoking tables in the Tailgate area. There is a wood deck outside the Tailgate area where I took the picture below. Christian’s is pretty easy to find. It is right at the corner of I-10 and Washington. My advice is to get in the far right lane as soon as you turn onto Washington from I-10 because the Christian’s driveway will sneak up on you if you don’t. Christian’s is located where people working off of 290 or the Galleria area and even Greenway Plaza can make it out there for lunch. I had high expectations going into Christian’s Totem. I had heard lots of very positive things about it and was really excited going in. I was extremely pleased with the dining experience. Christian’s is an EXCELLENT burger joint. It has the look from the outside of a mom and pop. On the inside – it is VERY much a mom and pop. Pretty old tables and chairs. You can tell many a burger has met its fate on these tables. Most importantly – Christian’s has an extremely good burger and that is a what it is all about. You hit the nail on the head with your review of Christian's Totem. "Totem" is one of the best Mom and Pop burger joints around. The burgers are unbelievable and the atmosphere is what one would desire as a burger enthusiast. Not only are the burgers awesome but the "Burger Nazi" aka cashier is perfect for this place. Word of advice for any first time Totem customer.....Don't ask too much of the hired help.......just order and slide order and slide "remember Seinfeld." If one decided to get smart with the "Burger Nazi" be prepared to be embarrassed as she will cut you down quickly. So don't bring a date. However, if you do decide to bring a date.......go ahead and reserve your spot out on the deck. "What a view of Interstate 10!" I rate Christian's Totem a 9. Thanks!! Glad you agree with my review. Christian's quickly became one of my favorite if not my favorite burger joint. Since going there a few weeks ago - I have felt the urge to make the trip back down there. Excellent advice about the "Burger Nazi". I know we are talking about the same lady. She took the order but she definitely comments on your selection. A friend of mine that went with me ordered onion rings but wanted onions taken off his burger. She said something about that one. Loud enough for people in line to hear. I cracked up. For those that have not gone - it is worth being humiliated in front of strangers to get a crack at their burgers! I just can't wait to hear the lady say "No Burgers for You!!!" But you know it is people like the Burger Nazi that make these mom and pop burger joints great. I consider it part of the character of the place. I've been to Christian's just once, about 3 or 4 months ago, and I'm really sorry I haven't been able to get back up there since. I neglected to re-read the original review in the Press before going and didn't think to ask them to cook it less than well-done, so I did get a burger that was overdone and a bit dry, but the promise of an excellent burger is there. I'd still rate Christian's a little below Lankford, but that may change when I have the chance to eat there a few more times. The onion rings are excellent; the only thing that would make them better would be if they were thicker cut. had my Burger Nazi experience there with the chili burger though. You see, you can get a cheeseburger or a chili burger, but don't even think about ordering a chili cheese burger. You'd think they could sprinkle some cheese on it, like at Bellaire Broiler Burger. The gal laughed and teased us, and acknowledged she was called the Burger Nazi. She is really good natured about it, she's just a lady with an attitude. She told me that if I kept asking her for cheese on the chili burger, she was going to add the "dumbass" tax onto my order. I just laughed, and she gave me a wry grin. Can't wait to try Mel's. Christian's rules. My bud and me made our first venture about a week ago and I have since been back two more times. I'm not planning on living past next week at this rate but anyhoo- Great burger-I got lit up like a fire cracker by the "Burger Nazi" my first time in but when you get past the facade she's still just as mean. To make a short story long, I love Christian's and incidentally, Billy Gibbon's likes to stop in for an occasional beer and insult. can't believe I just used an apostrophe in Billy Gibbons' name. My apologies for my retardation. If you wish to laugh at me you can direct comments to my assistant Helen Waite. Anyone who has been to Christian's will understand who Helen Waite is. Your review hits this place right square on the head. As a large guy accustomed to ordering double burgers, I was taken aback when the guy behind the counter (no burger nazi that day i suppose) said "you haven't been here before have you? Trust me, you want the single burger." Also, I encourage everyone to try the shakes there (if you have room). Pretty darn good as well. The burger is not that I as expect but yah its 4 out of 5 for me. The only problem with the place is its dirty restroom and small parking space. I GO TO CHRISTIAN'S TOTEM FAIRLY REGULARLY DURING MY WORK LUNCH HOUR WHICH MAKES THE REST OF MY DAY PRETTY MISERABLE. I NORMALLY GET THE SINGLE WITH ONION RINGS, WHICH ARE PROBABLY THE BEST ONION RINGS I HAVE HAD. ONE DAY I MADE THE MISTAKE OF EATING THE DOUBLE, YES I ATE THE WHOLE BURGER AS WELL AS MOST OF THE RINGS. I SERIOSLY FEEL ME ERASE 3-5 YEARS OFF MY LIFE AND THE REST OF THE DAY AT WORK I COULD HARLY KEEP MY EYES OPEN BUT IT WAS WORTH EVERY BITE. TBG --- IF YOU WANT TO TRY A GREAT PHILLY CHEESE, TRY JAKES PHILLYS OFF OF CHIMNEY ROCK JUST SOUTH OF WESTHEIMER ON THE RIGHT HAND SIDE, WELL WOTH THE TRIP. I WOULD GO WITH A OOZE FACTOR 0F 8-9. Because of the accolades, I've been to Christian's Totem 3-4 times. I love this burger! My one disappointment has been that the Burger Nazi has never been surly or ill-tempered... not once. I'll have to keep going back and see if I can stir up some rudeness. Great burgers, though. This place Rocks! My family went last week and can't wait to go back. Hubby had the double burger (and finished it!). It was certainly a two hander!! This place must have recently changed their burgers significantly. They were very good burgers, but they were nothing like your description or the pictures. 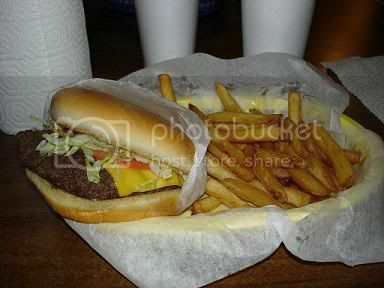 The double cheeseburger was not nearly as big as the single patty burger in the pictures. The ooze factor was almost non-existent and what there was didn't come from the meat. Opening the bun revealed patties that looked suspisously uniformed and small. Our order of onion rings, while the were excellent tasting, was incredibly small as well. Around 8 small to medium rings. The wait was a bit long as well, considering there were very few people there at the time. 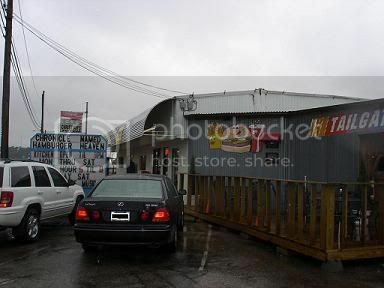 I'd certainly go back, however I would be hard pressed to name them a top ten burger joint. TBG, if you're gonna post a McDonald's burger as favorite, you might want to check out Barry's Burger Barn in Pasadena on Spencer. My wife and I are working our way through TBG's list. We have been to five places so far and none comes close to Christian’s Totem. Based on your recommendation (and some research on other H-town websites) I headed over to Christian's on Washington this past Saturday night to try their burgers. I was Houston for the weekend from El Paso (and there's one burger joint out here you need to try, but I digress) and my expectations were high. Nope, I never got to try the burger. Either they shut the kitchen down at 8 p.m. on Saturday nights or they just didn't want to serve me (both the bartender and one waitress walked passed me like I wasn't there) because I guess I looked like a tourist (I was). So after sitting at a table for five minutes (2 of that with an open menu which I went and picked up from the bar) I left. What gives? Had a burger for lunch this week. First time at Christian's Totem ...... but not the last. Great hamburger! Yea, the Burger Nazi works there, be sure you know what to order, if you want a cheeseburger and fries or onion rings, order Cheeseburger Delux. Save yourself some grief. From thee you can order you burger medium rare, and it will come that way, no hassle. I love this place. And they serve liquor too, not just beer. Mark Ross should be charged the dumbass tax. You can sit there al night and you won't get a burger until you go to the place at the counter (where the sign says "Order Here"), and order your burger. Oh, my dear Lord, this was by far the BEST cheese burger I've ever eaten. I only ordered the single, but my husband who usually has no problems downing large sandwiches, struggled with the double 1/2 lb. There was a sense of irony watching him both be in heaven and hell at the same time as he ate. And we ordered a 1/2 and 1/2 of fries and rings on his order and split them - a wise choice given the amount of food. And I totally agree that the fries and rings were good too! Thanks for the info and keep up the good work! I went to Christian's yesterday and I must say this place is awesome. Shiner on tap and an amazing burger. I can ask for nothing more. I've been too long without a great burger. Ever since Tookies went down with Ike I haven't had another place to go. Granted Christian's is way further to go than Tookies but it just makes it that much more special when I actually get to go. This list seriously needs to be updated. Granted a few years ago I was a Christians fanatic. I would regularly go with my friends when we craved burgers. But for the past couple of years the quality of the burger has gone down. My past few visits over the course of 2 years, the burgers have been dry and lacking some flavor. I wish I could say these were isolated incidents but all my friends who have gone have experienced the same result. For the past year when I've decided to give them one more try they've let me down each time. There are better burger joints in and around Houston. Christians Totem is no longer on my list.